Sizing Notes: Flexible headband adjusts to fit most adults, teens, and older children. The hat itself measures approxiamtely 4 1/2 inches wide by 3 inches tall, not including headband and decoration. Complete your Victorian burlesque costume or wear this mini top hat just for fun! 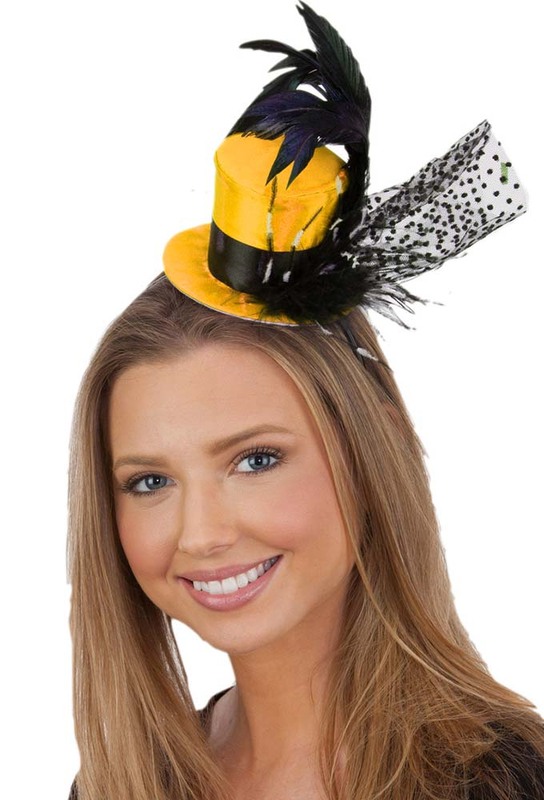 The satin mini top hat comes in vivid colors of hot pink, golden yellow, orange, and bright green, and it is ornamented with black ribbon, a dotted tulle veil, and feather accents on a narrow black plastic headband. The hat itself measures approxiamtely 4 1/2 inches wide by 3 inches tall, not including headband and decoration. 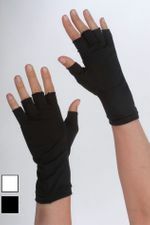 Flexible black plastic headband fits most adults, teens, and older children. Shop our Victorian Costumes department for more fascinator style hats.